The European School in Brussels was set up in 1974 and has since developed into an establishment with three teaching levels, eight language sections, over 3,000 pupils and more than 400 staff members. A total of 49 Maltese students aged 5-18 years attend the school. There are three Maltese teachers teaching Maltese language. 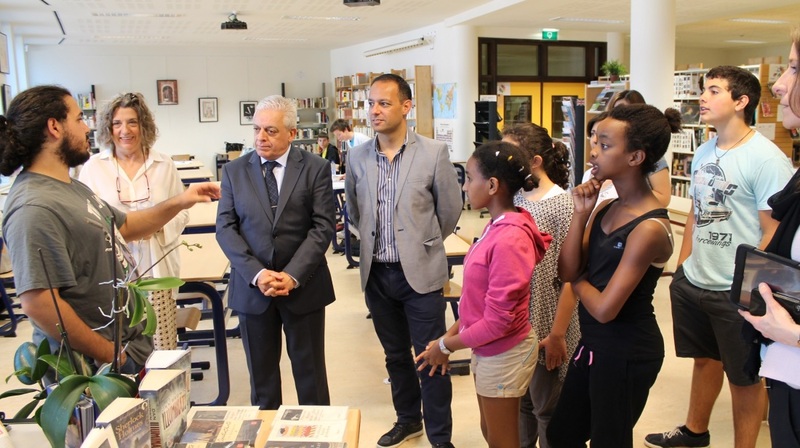 Valletta 2018 Chairman Jason Micallef together with HE Mr Ray Azzopardi recently visited Maltese students at the European School in Brussels and gave a presentation regarding Discover Valletta – a series of brief narratives about people and places related to our capital city, available in audio format through MP3 players. This visit was made possible thanks to the Embassy of Malta in Brussels.